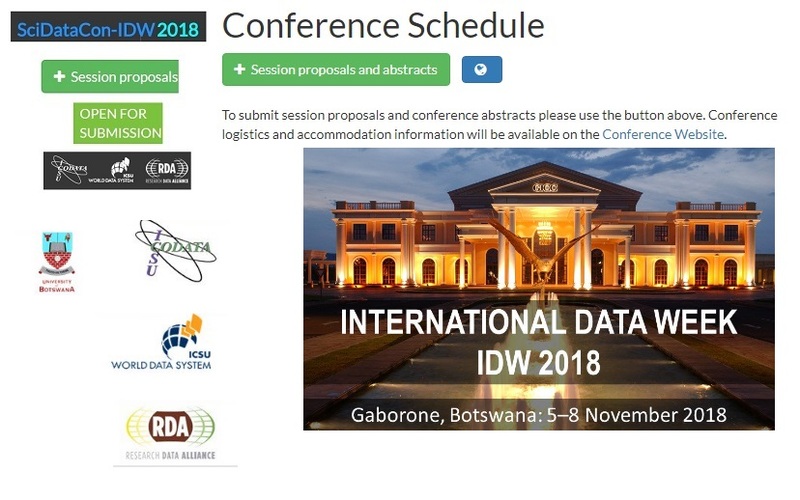 SciDataCon2018 will take place 5-8 November 2018 in Gaborone, in Botswana as part of International Data Week convened by CODATA, the ICSU World Data System and the Research Data Alliance. The deadline for proposals is midnight UTC on 19 February 2018. If you have not already done so, you need to sign up and create an account on the SciDataCon site. - this is not, of course the same as registering for the conference. An expanded overview of these themes is provided at http://www.scidatacon.org/conference/IDW2018/conference_themes_and_scope/. The Latin America and the Caribbean Scientific Data Management Workshop (17-18 April 2018, Brazil) convened by the World Data System (WDS) will discuss data management best practices for data repositories located throughout Latin America and the Caribbean.